October 2015 Update: Since we published this article on August 2014, many new studies have been developed. We have added 14 new studies published by the National Insitute of Health of the United States. We have now 82 scientific studies! Cancer is a leading cause of death in industrialised countries. So far, the treatments available from the pharmaceuticals mostly have limited efficiency, as well as a significant toxicity and strong undesirable side effects. It is known that the marijuana plant can help in a natural way and relieve symptoms of cancer and chemotherapy: pain relief, nausea, vomiting, greater appetite, improvement of mood, sleep, relationships with the environment… And we all know how important it is to have a good quality of life when fighting against any disease. Therefore, we can now find something even more interesting: some cannabinoids in the marijuana plant have a healing action against different forms of cancer. Several testimonies are available now in social networks, particularly in the United States, where medical marijuana is much more accessible than in Europe. Examples of the most common cures are leukemia and brain tumors (gliomas), usually in children and even babies. However, these numerous testimonies are not sufficient evidence to convince the medical and scientific communities, which need reliable studies to confirm these claims. In order to rectify the situation, we propose here a (non-exhaustive) list of 68 international scientific publications, drawn from the best research laboratories, demonstrating the efficiency of the cannabinoids found in marijuana plants in the treatment of cancer. The use of cannabinoids as anticancer agents. This study available online since June 2015, will be published by Progress in Neuro-Psychopharmacology and Biological Psychiatry in January 2016. Endocannabinoids and Cancer. Published by Handbook of Experimental Pharmacology, in September 2015. Anti-tumor effects of marijuana. Updated publications on the website of the National Cancer Institute of the Government of the United States in January 2016. The Antitumor Activity of Plant-Derived Non-Psychoactive Cannabinoids. Study published by the Journal of Neuroimmune Pharmacology in June 2015. 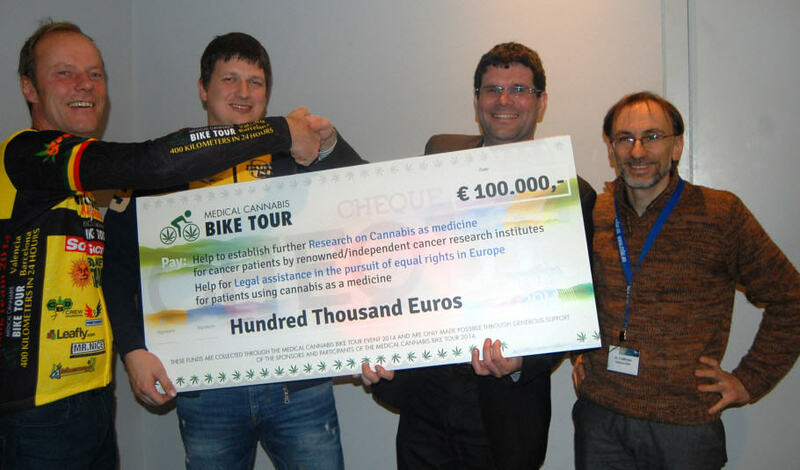 Cannabis in cancer care. Published by Clinical Pharmacology& Therapeutics, in June 2015. 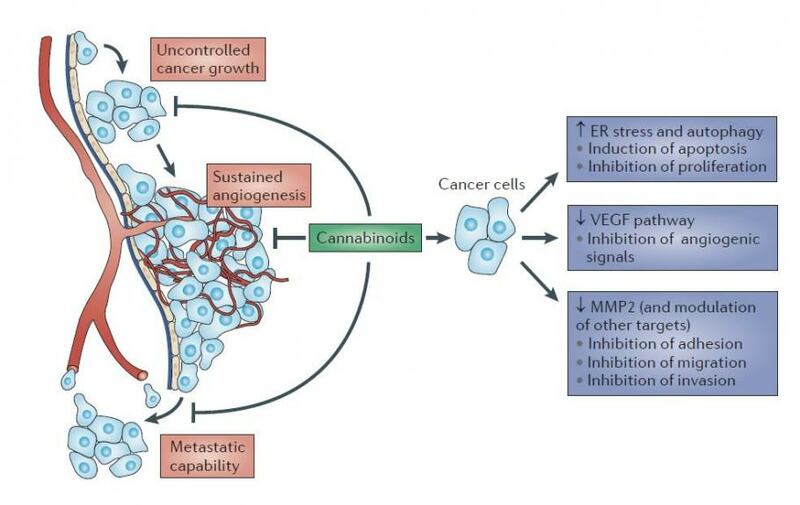 New Insights into Antimetastatic and Antiangiogenic Effects of Cannabinoids. Study published by International Review of Cell and Molecular Biology in January 2015. 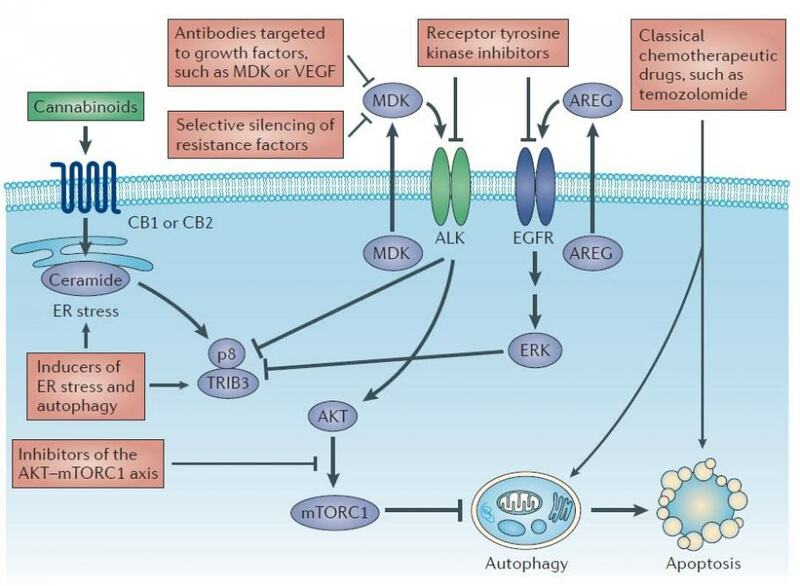 Cannabinoids as therapeutic agents in cancer: current status and future implications. Study published by Oncotarget in July 2014. A therapeutic target for regulation of cancer growth. Published by Life Science in March 2013. The endocannabinoid system: a therapeutic target for regulating the growth of cancer. Study published in the Life Science journal in October 2012. The antitunour action of cannabinoids on Glioma tumorigenesis. Published by Histology and Hispathology, June 2015. The Combination of Cannabidiol and ?9-Tetrahydrocannabinol Enhances the Anticancer Effects of Radiation in an Orthotopic Murine Glioma Model. Published by Molecular Cancer Therapeutics, December 2014. 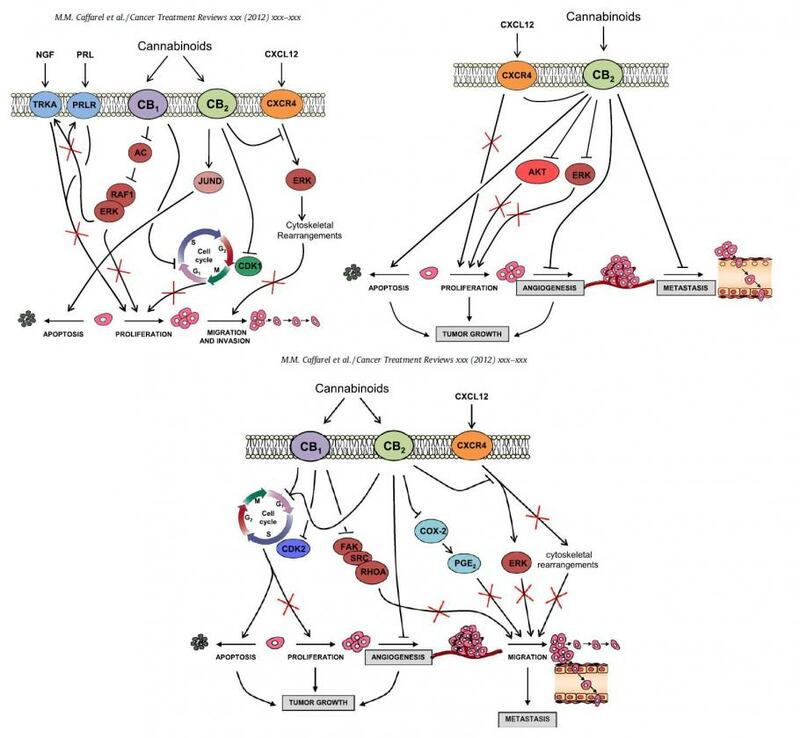 Modulation of the tumor microenvironment and inhibition of EGF/EGFR pathway. Published by Molecular Oncology, January 2015. In vitro and in vivo evaluation of ?9-tetrahidrocannabinol/PLGA nanoparticles for cancer chemotherapy. Published by the International Journal of Pharmaceutics, April 2015. COX-2 and PPAR-? confer CBD-induced apoptosis of human lung cancer cells. Study published in Molecular Cancer Therapeutics in January 2013. Cannabinoid receptors, CB1 and CB2, as novel targets for inhibition of non?small cell lung cancer growth and metastasis. Study published in Cancer Prevention Research in January 2011. Colon carcinogenesis is inhibited by the TRPM8 antagonist cannabigerol, a Cannabis-derived non-psychotropic cannabinoid. Published by Carcinogenesis magazine, September 2014. Involvement of PPAR? in the antitumoral action of cannabinoids on hepatocellular carcinoma (CHC). Study published in Cell Death and Disease in May 2013. Differential role of cannabinoids in the pathogenesis of skin cancer. Published by Life Science, October 2015. 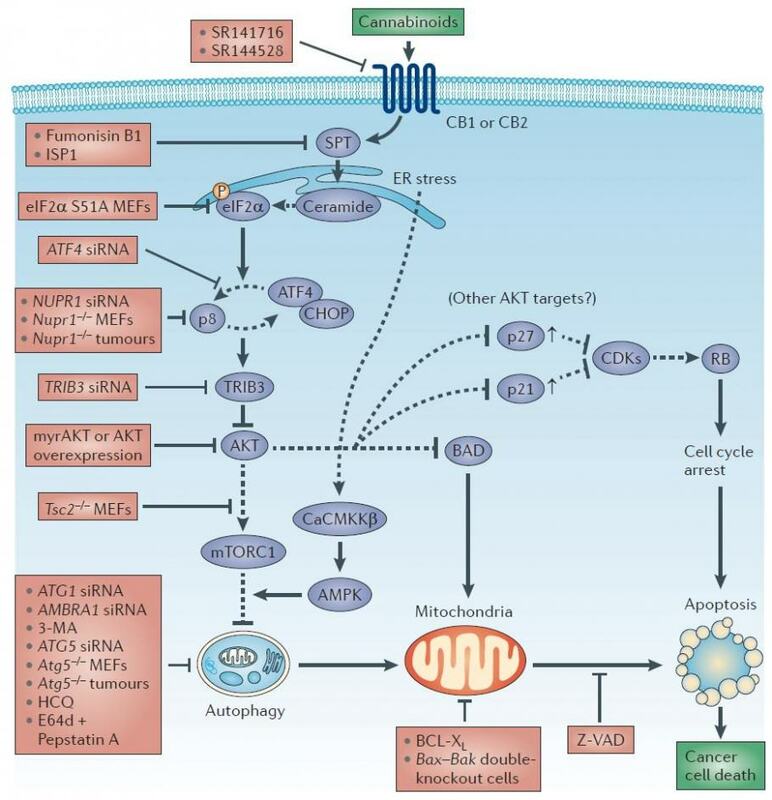 Exploiting Cannabinoid-Induced Cytotoxic Autophagy to Drive Melanoma Cell Death. Published by the International Journal of Molecular Sciences magazine, May 2014. Kaposi sarcoma: Cannabidiol inhibits growth and induces programmed cell death in Kaposi sarcoma?associated herpesvirus-infected endothelium. Study published in the journal Genes & Cancer in July 2012. Thank you for this article and for supporting this wonderful cause. Marijuana is the healing of our nation. It is so important to be educated and progressive so that we can be the best versions of ourselves. I was touched and amazed by this article. Fantastic. so happy to hear of your outcome mikayla, my little boy is just 12 and has been sick all his life , worst these last 2 years with IBS and we just discovered he has a connective tissue disorder which also bring with it unbearable pain for days on end. half the time he has the teachers come teach him at home. i wonder if this canabis oil could help him. Maybe you should ask a doctor about your case and see if cannabis could help. Marijuana is helping so many people that the situation we are living is kind of ridiculous. We really hope your kid gets better. All our best vibes for you!! This is a wonderful compilation. Well done and keep up the great work. We are a charity in the UK where medical cannabis is illegal. We provide information to those in need and are pushing hard to raise awareness over here so that the politicians can’t keep lying to the public. Let’s keep breaking the taboo and push for the plant to be decriminalised. Over here most doctors do not know that we all have an endocannabinoid system and cannot say anything positive about cannabis. Should they do so, the British Medical Association will not stand behind them. So asking a doctor over here is a pointless process. Fingers crossed the votes go brilliantly on November 4th for Medical Cannabis. Love and great health to all. Fortunately, day by day medicinal cannabis is becoming a reality in most places, and it is our responsability to try to bring it to those places where people still don’t have enough information. Over the last years, there has been a change in Spain, and many doctors recommend using marijuana to treat different diseases, although they can not prescribe it officially. Let’s hope medicinal cannabis gets everywhere where it is needed, for people should have the right to treat their ailments in an efficient and natural way. As long as you mention Alchimia as the source of the information, there’s no problem at all. If it is a digital newsletter, a link to our post would be also great. wow great site, have u considered selling cbd to help people and make a little money on the side? We have a selection of cosmetics and pharmaceuticals with products like Trompetol, Cannabios, Vitrovit, etc. magnificent post, very informative. I’m wondering why the other specialists of this sector do not understand this. You must continue your writing. I am confident, you have a great readers’ base already! Our goal is basically expanding our knowledge of these issues so people have accurate and truthful information. We are glad you enjoyed this post. Thank you, I have recently been searching for information approximately this topic for a while and yours is the best I’ve discovered till now. But, what concerning the conclusion? Are you certain concerning the source? We are glad that this post was useful for you. You have a link to every source, we think these are truthful and come from reputable professionals. Hi there to every single one, it’s genuinely a pleasant for me to pay a quick visit this website, it contains important Information. Thanks for you kind comment, we’ll check it out and see if there is a problem. Thanks for your words, we are constantly working on improving the content of our Blog so you can have the best info. All this research shows that marijuana is the cure of cancer so it should be used as a medical treatment. While not a panacea for cancer, it has been demonstrated that several cannabinoids and terpenes may help to combat this disease, so further research and investigation is required. There are literally milions of people who could benefit from the therapeutical properties of cannabis, and this is something to take into account seriously. I am living in RSA. CBD oil is being used to treat symptoms of scleroderma. It won’t cure it, but it can help to relieve a number of symptoms. Hello misi, I’m sorry to hear about your mother’s diagnosis. A quick search online throws up lots of positive articles on the subject of cervical cancer and cannabis. The general recommendation is for strains with a 1:1 ratio of THC to CBD, rather than high THC or CBD. You can find more information and guidance here and at Alchimia we have a Medical Cannabis Consultant, but I’m afraid it’s only available in Spanish language, while us Admins are only really qualified to answer basic questions related to medical marijuana. I’d suggest searching for medical cannabis associations or cannabis-friendly doctors in your area to get advice from professionals. Best wishes to you and your mother.